On Wednesday, the U.S. Department of Justice announced that AstraZeneca LP, a Delaware-based pharmaceutical manufacturer, has agreed to pay the federal government $7.9 million to settle allegations that it engaged in a kickback scheme in violation of the Anti-Kickback statute and the False Claims Act. AstraZeneca markets and sells pharmaceutical products in the United States, including a drug sold under the trade name Nexium. The settlement specifically resolves the allegations made by two relators that AstraZeneca agreed to provide remuneration to Medco Health Solutions, a pharmacy benefit manager, in exchange for Medco maintaining Nexium’s “sole and exclusive” status on certain Medco formularies and through other marketing activities related to those Medco formularies. AstraZeneca allegedly provided some or all of the remuneration to Medco through price concessions on drugs other than Nexium, namely on Prilosec, Toprol XL and Plendil. Such remuneration amounted to approximately $40 million. United States ex rel. DiMattia et al. v. AstraZeneca LP et al. was filed under seal on behalf of the federal government in October 2010 by former AstraZeneca employees Paul DiMattia and F. Folger Tuggle. The government then elected to intervene in the case. The fraudulent claims for Nexium were allegedly submitted to the Retiree Drug Subsidy Program between January 1, 2008 and April 1, 2009. The settlement does not, however, resolve related claims filed by nearly 30 cities and states also listed as plaintiffs in the case. DiMattia and Tuggle will collectively receive $1,422,000 for their role in uncovering the fraud. The settlement was the result of a coordinated effort among the Civil Division, the U.S. Attorney’s Office for the District of Delaware, the Health and Human Services Office of the Inspector General, the U.S. Postal Service’s Office of Inspector General, the FBI Wilmington, Delaware, Resident Agency Office and the FBI’s Major Provider Response Team. AstraZeneca escaped a similar suit in October when the Third Circuit found that the relator lacked standing because the allegations had been publicly disclosed in other civil actions and in media reports, already alerting the government to any fraud. That case alleged that AstraZeneca and Bristol-Myers Squibb paid disguised, undisclosed rebates, fees and grants to Medco for purchasing their drugs while inaccurately reporting pricing information to the government. Additionally, AstraZeneca was alleged to have entered into sham contracts with Medco to induce it to purchase and dispense its brand-name drugs, rather than the equivalent generic drugs to government plan patients. At issue in the case were Bristol-Myers Squibb’s anticoagulant Coumadin and AstraZeneca’s ulcer drugs Prilosec and Nexium. In another kickback case settled this week, the U.S. Department of Justice announced today that Illinois physician Dr. Michael J. Reinstein pled guilty to a federal crime for receiving illegal kickbacks and benefits totaling nearly $600,000 from two pharmaceutical companies in exchange for regularly prescribing the anti-psychotic drug clozapine to his patients. Reinstein also agreed to pay the federal government and the state of Illinois $3.79 million to settle a parallel civil lawsuit alleging that, by prescribing clozapine in exchange for kickbacks, Reinstein caused the submission of false claims to Medicare and Medicaid for the clozapine he prescribed for thousands of elderly and indigent patients in at least 30 Chicago-area nursing homes and other facilities. In March 2014, Teva Pharmaceuticals USA Inc. and IVAX LLC, paid the federal government and the state of Illinois $27.6 million to settle allegations that they violated the state and federal False Claims Acts by making payments to Reinstein in return for him prescribing clozapine to his patients. The payment scheme involving Reinstein began in August 2003, when Reinstein agreed to switch his patients to generic clozapine if IVAX agreed to pay Reinstein $50,000 under a one-year “consulting agreement” and to provide other benefits to Reinstein in violation of the federal Medicare and Medicaid Anti-Kickback statute. 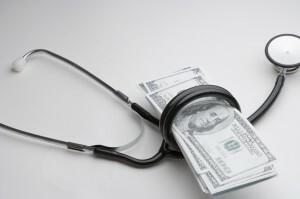 The Anti-Kickback Statute prohibits offering, paying, soliciting or receiving remuneration to induce referrals of items or services covered by Medicare, Medicaid and other federally funded programs. The Anti-Kickback Statute is intended to ensure that a physician’s medical judgment is not compromised by improper financial incentives and is instead based on the best interests of the patient. Both the criminal and civil cases involve the promotion of generic clozapine, a rarely prescribed anti-psychotic drug that has serious potential side effects and is generally considered a drug of last resort, particularly for elderly patients. While clozapine has been shown to be effective for treatment-resistant forms of schizophrenia, it is also known to cause numerous side effects, including a potentially deadly decrease in white blood cells, seizures, inflammation of the heart muscle and increased mortality in elderly patients.